What is Japan Food Additives Association? Japan Food Additives Association (JAFA) was established in September 1982 as a nation wide consolidated body and is composed of companies and associations that are involved in the production, import, sales and utilization of food additives. The objective of JAFA is to serve both to its members and the public by sharing information about the safety and benefit of food additives under the guidance of Department of Food Safety, Pharmaceutical and Food Safety Bureau, Ministry of Health, Labor and Welfare and consequently, to contribute to the sound development of food and food additives industry and to the safe and healthy life of consumers. JAFA currently has about 1000 members and is managed by a chairman, two vice chairmen, an executive director and five managing directors. The general secretariat of JAFA is located in Tokyo (Head Office) and Osaka (Branch). The activities are carried out with the coordination of five General Subject Committees in charge of administrative affairs, technical and regulatory affairs, safety and international affairs, public relations affairs and quality assurance affairs,respectively. As Category Committees, there are 14 groups that conduct investigations, research and studies for designated category of food additives. The local chapters coordinate their activities with the local governmental bodies to act as a liaison among the regional member companies. Monthly seminar for conveying information to the members by the heads of the five general subject committees are held both at Tokyo and Osaka to let the members keep in close contact and exchange information each other. Technical seminars and training programs for employees of the members by expert lecturers are undertaken.General meetings are held at the chapters and occasional seminars are carried out as needed. Through close communication and guidance from Ministry of Health, Labor and Welfare and other relevant authorities, the governmental and regulatory information on food additives is quickly disseminated to the members, and requests from member companies are conveyed to the relevant authorities. Technical information regarding safety and benefits of food additives is collected and analyzed on an international level. JAFA responds to inquiries and requests from member companies for studies regarding the safety and usefulness of food additives. Information concerning the safety and benefits of food additives is maintained for consumers, and communication and educational activities directed toward consumer groups are carried out. Furthermore, informative pamphlets, brochures and videos on food additives are prepared and distributed to provide accurate knowledge on these subjects. A scientific journal, Japan Food Additives News (JAFAN) is published bi-monthly and an activity report and news letters, Japan Food Additives Association Report, is published monthly for the members. 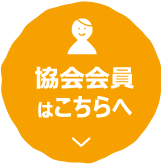 In addition, "The Japanese Specifications and Standards for Food Additives" (in English), "Food Sanitation Law" (in English) and many other publications in Japanese explaining regulations and safeties are issued. JAFA runs voluntary certification program for KANSUI (an alkaline preparation for Chinese noodles) and the preparation of tar colors. In addition, JAFA also promotes self-responsible management of the food additives industry by preparing voluntary specifications of food additives and a responsible authorization system of food additives good manufacturing practice(GMP). 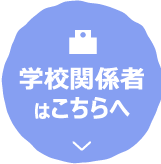 Copyright (C) 2019 Japan Food Additives Association. All Right Reserved.